Our roots run deep in the community, and we are fortunate in that the work that we do allows us to give back. Without the people we serve and the places we call home, we couldn’t be who we are today. Our focus is on enhancing local economies through our work. We believe this is where we can have the greatest influence on the next generation, and it directly supports our mission for customer service and strong partnerships. At O’Brien, we believe in the importance of getting involved in our community. Our ways of giving back to the community is through sponsorship, corporate donations, employee volunteer time, loaning equipment and attending events in and around the Tri-City area. O’Brien Construction was called into action on this project after learning that the floor grates in the dog kennels were eroding away. The erosion prevented toys and other objects from being placed inside for fear of them falling through the grates and clogging drains. 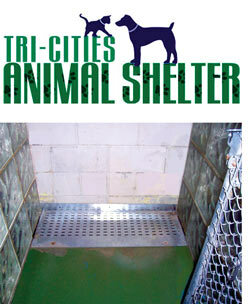 O’Brien quickly offered their services to build and install new grates for all of the kennels. With the addition of toys in the kennels again, the dogs are now less stressed and calmer. For O’Brien, it was an honor to be part of recreating a comfortable environment for the canine residents at the Tri-Cities Animal Shelter. 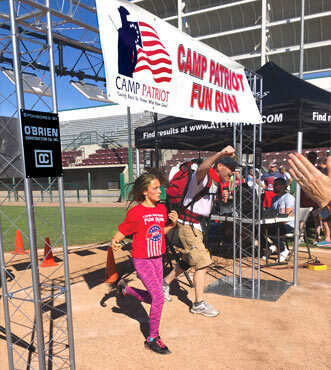 Camp Patriot is a non-profit organization located in Richland, WA. Their mission is to empower and thank all wounded and disabled military veterans though outdoor programs.